Bing launches several new “intelligent search” features that are designed to search for hotels, home services, and coupons. 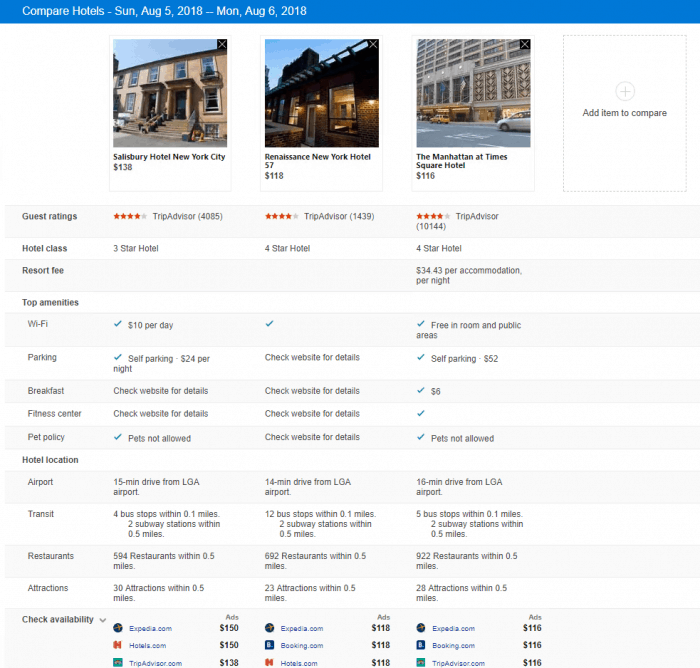 Bing’s hotel search is now being enhanced with tips, price trends, and a comparison view. If you are searching hotels in Bing, you will now see booking tips which competing options they may not have considered. Bing provides historical price trends for the date range you’re exploring to help make price-based trade-offs. Their new comparison view provides a comprehensive overview of pricing by hotel option. A partnership with Porch will now let Bing display cost ranges for home services. As prices may diverge by location, data is specific to the zip code in which the user is searching from. Bing will also help users collect quotes for home services with a simple “Get Quote” button. Bing also added a new snippet feature to show you deals on a site. These features are now live in the US for desktop users only.